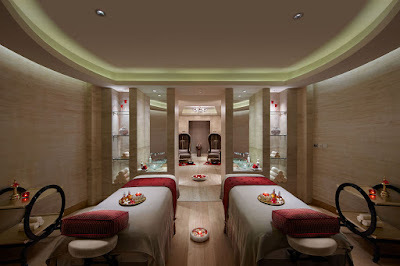 Now and then , we all feel the need to take a break , de-stress and pamper ourselves in the laps of luxury. 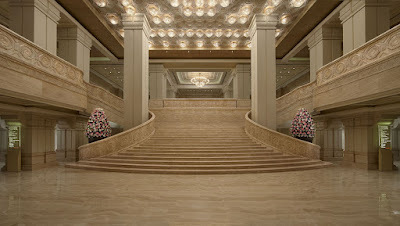 Away from the 9-5 boring mundane life, you'd want to stay in a serene, calm place and get treated like a king. The only thing you want to do probably is sit back, soak in the grandeur of a hotel, enjoy some scrumptous food, take a dip in the pool and even go for a spa session. 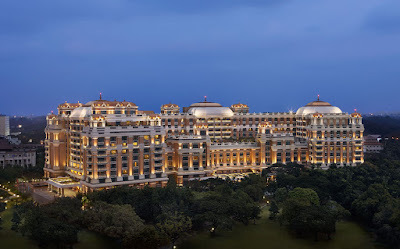 If you are wondering where do I find some place , that looks like a palace/castle, within the city, treats me like a king and I get to enjoy sheer royalty, the answer is pretty simple : Just drive down to ITC Grand Chola in Guindy, Chennai and you'd find yourself being transported to a kings era. 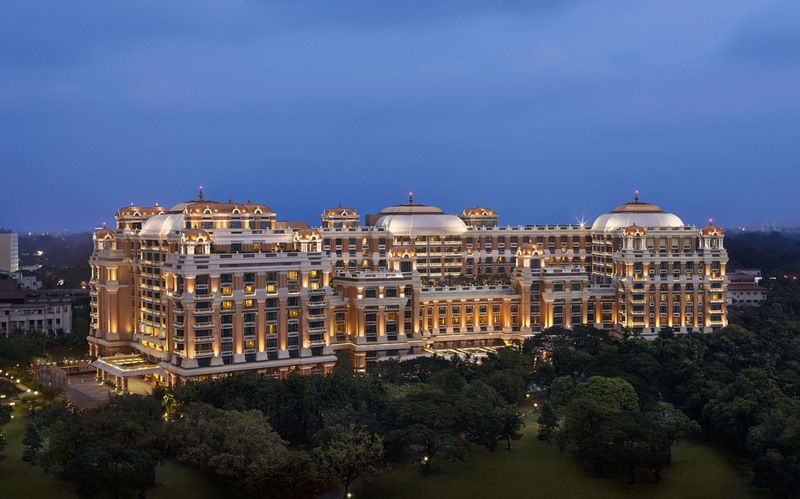 Headed by the ITC Group, ITC Grand Chola is one of the biggest 5+ * Hotels in the city that boasts of 522 rooms and 78 luxurious service apartments. Built as a tribute to the Chola Dynasty that ruled South India, every dome, room, structure and the overall architecture is a glorious reflection of the buildings that was designed by the Cholans. 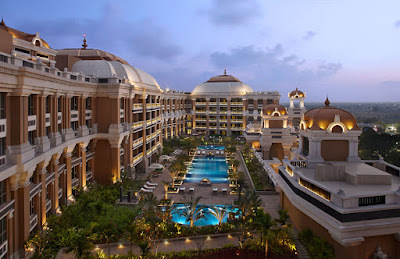 Be it the intricately carved temples or the bronze sculptures, you can see the same level of detail in this hotel through its steps, granite carvings, wall paintings and vast spaces. Royal Vega : For the "Pure Vegetarians", this is a dream come true. One of those rare cases, where you get to see a pure vegetarian restaurant in a 5 star hotel, with a proper Indian cuisine and truly royal to its name. Peshawri : Moving slightly away from India, if you always wanted to try out the delicious fares of the North Frontiers, you dont need to go far. 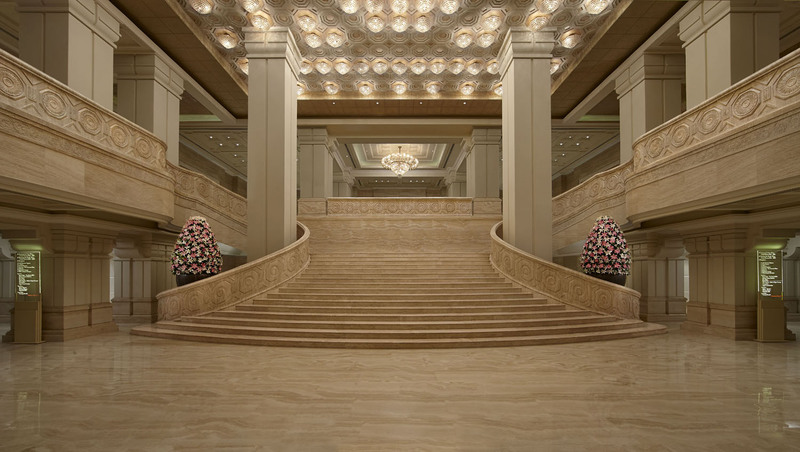 Just a floor below Royal Vega, you'd find the beautifully decorated Peshawri. Be it the tandoori items, Indian breads or kebabs, you can truly find a superior experience in terms of quality, taste and service. My personal favourite is always their huge Paneer Tikka that can definitely give a whole new meaning to your taste buds. 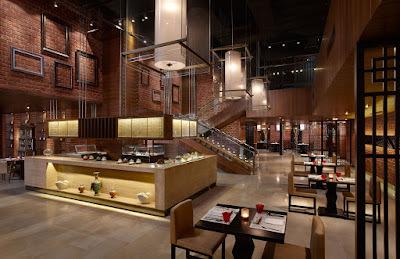 Pan Asian : Moving away from India or North Frontiers, Pan Asian offers a fine blend of other Asian cuisines such as Chinese, Japanese, Thai and even Vietnamese food, for those who want to try out something different. 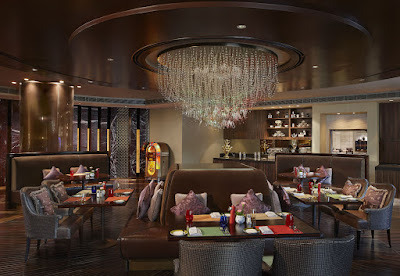 The other notable restaurants include Madras Pavilion,Nutmeg, Cafe Mercara Expres and their in house resto lounge, Tranquebar. 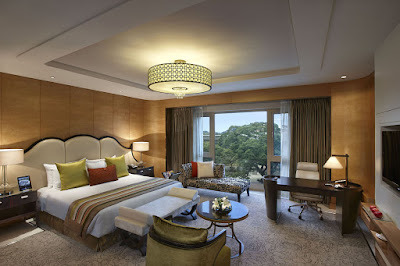 The rooms are truly futuristic and digitally enabled rooms. Everything in the room is pretty much controlled by a Ipad. Be it a channel music, or the TV channel, Air conditioning in the room, mood lighting or even the water temperature you can set it right from the IPAD . That's something really cool and I haven't personally come across such an interesting feature elsewhere. Additionally the rooms have all the facilities, one'd associate with a luxury hotel room and you pretty much find everything at your disposal. Probably after a heavy meal at one of the restaurants and a good nap, you'd be wanting to stretch those muscles. 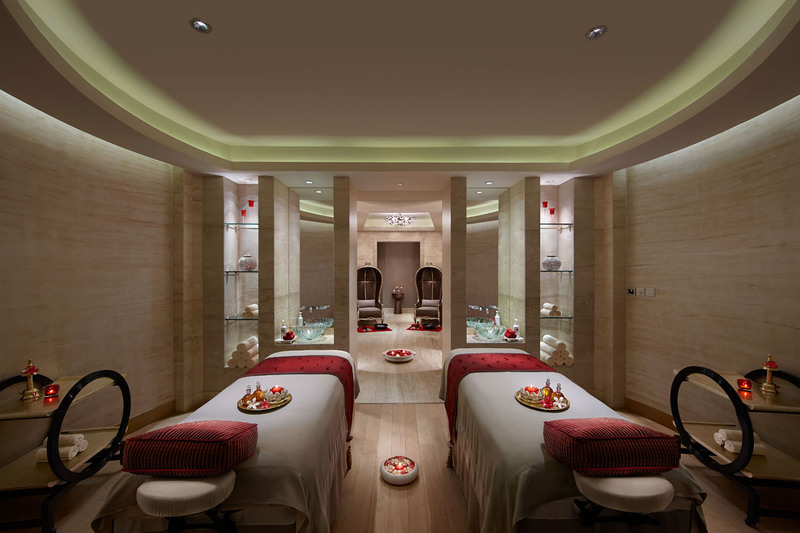 You can either opt for the large fitness centre with personal trainer options, or take a dip in the beautiful swimming pool or even head to the Kaya Kalp Spa for a rejuvenating body massage (though I've been warned that due to popular demand, a prior reservation is highly mandatory). Even if you do not want to enjoy any of the above and just want some fresh air, go for a courtyard walk in the sprawling acres of land built around the hotel and enjoy some quality time in the mini parks/gardens in select places.